We are very eager to help you book your hotel reservation for Greg and Mary Wedding and look forward to booking your hotel stay and future travel. How much china, bedding and electrical appliances do you really need? 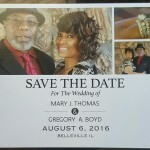 Jerry Simmons and Nicole Pleasant would like to give their family and friends an alternative wedding gift idea? It is with great pleasure that we have this opportunity to introduce one of our Personalized Services International Travel Agency’s featured programs: The Honeymoon Registry Gift Program. The special part shouldn’t end at “I do” and our Romantic Travel Experts know that. While helping to make Jerry and Nicole’s dream honeymoon a reality, we can also provide their family and friends with the unique opportunity to designate $25, $50, $75, $100 or more towards their honeymoon. Your donation will be apply to their honeymoon registry account; minus the service fee. This account will be used to make their honeymoon spectacular.